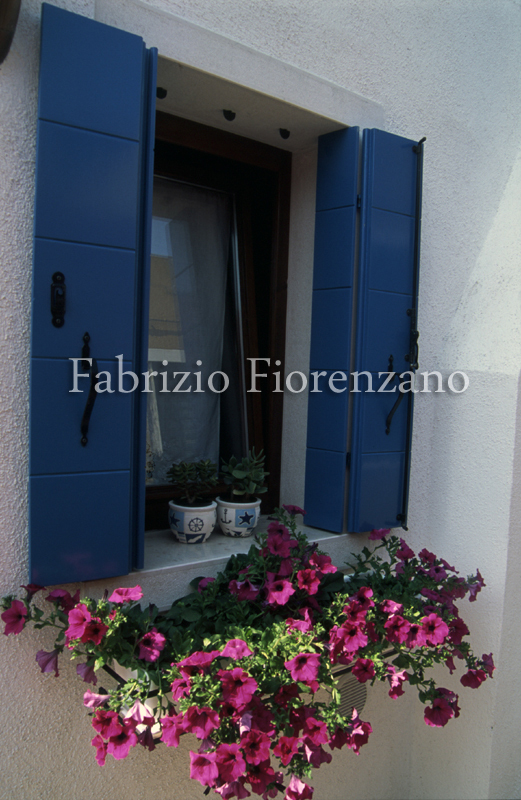 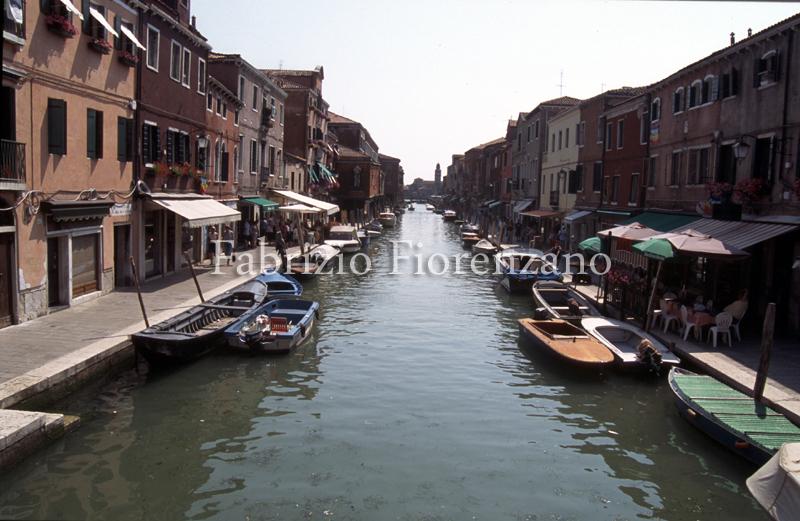 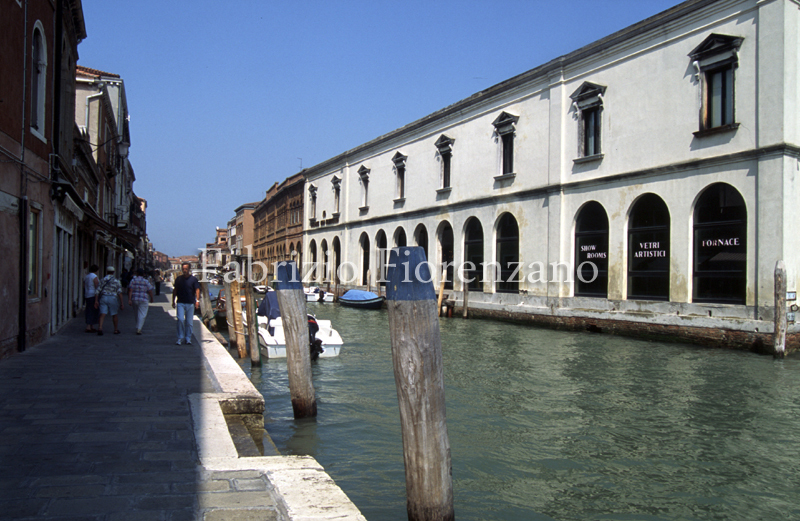 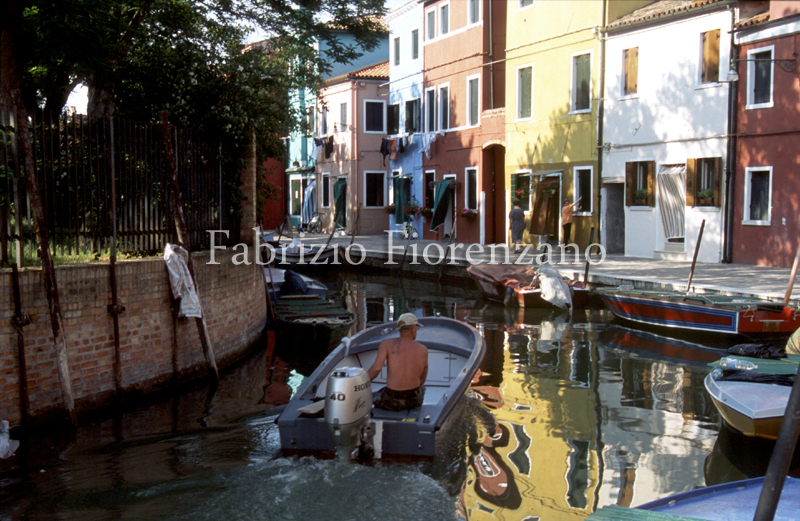 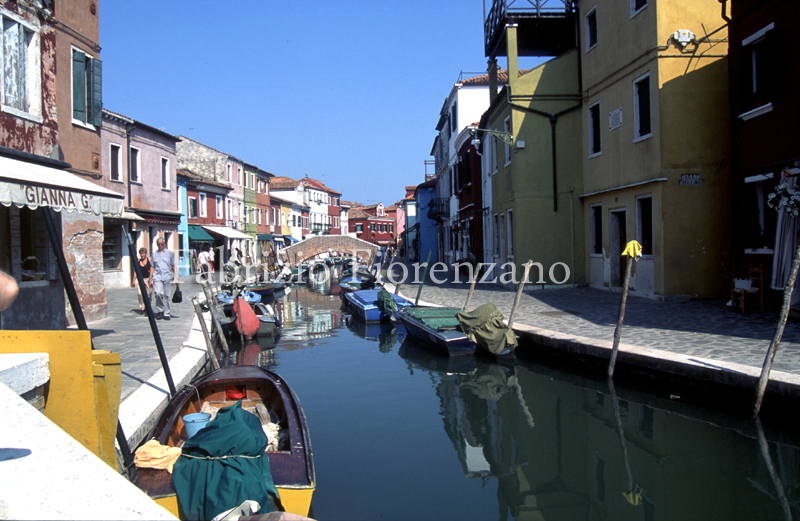 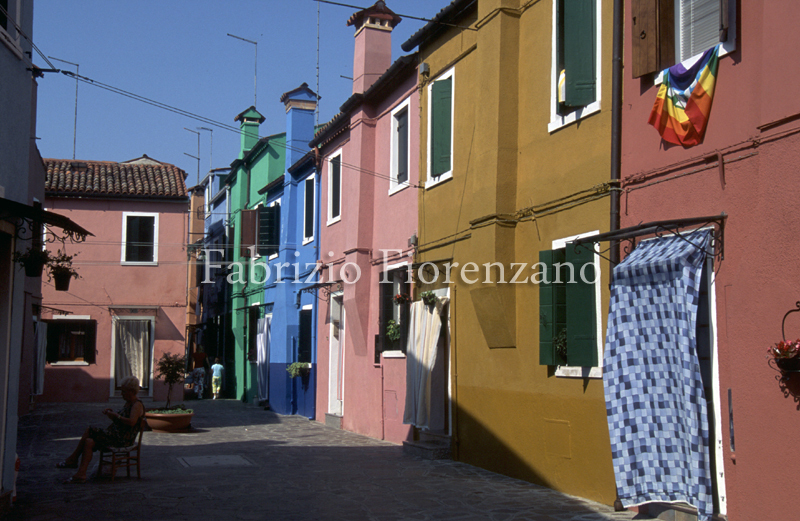 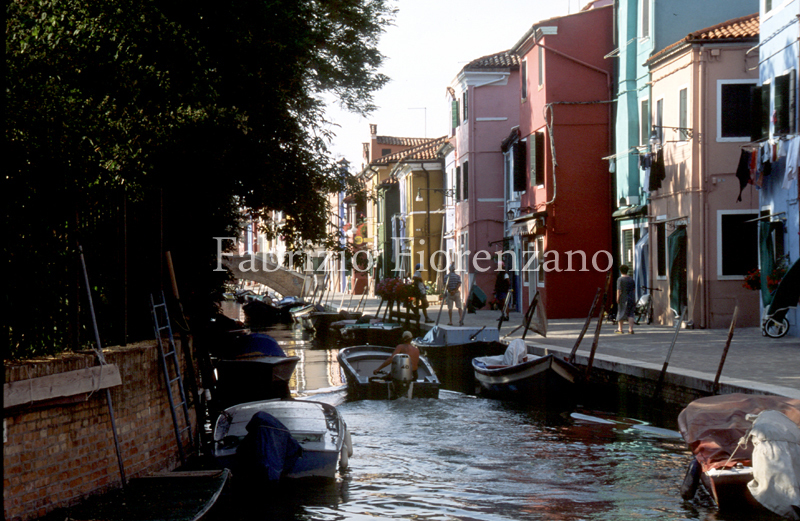 The production of Burano lace in the Venetian Republic reached its heyday in the 16th century. 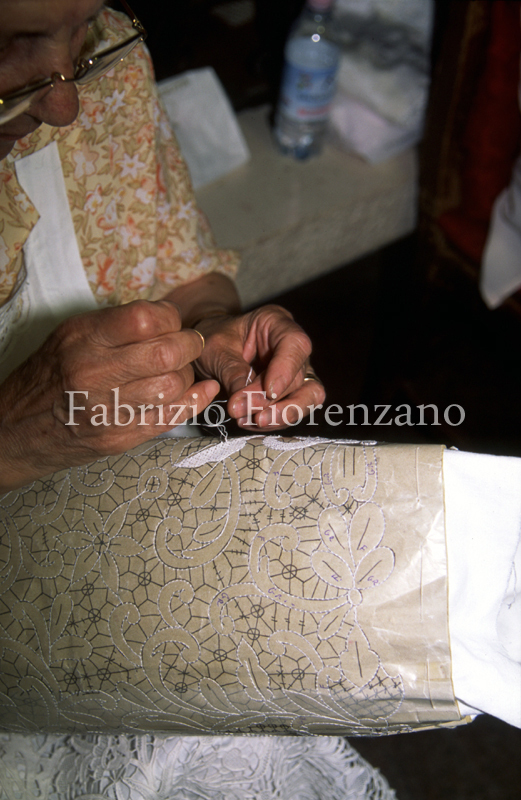 The impulse for expansion had been given to this traditional type of needlework by Duchess Morosina Morosini, Doge Morosini’s wife. 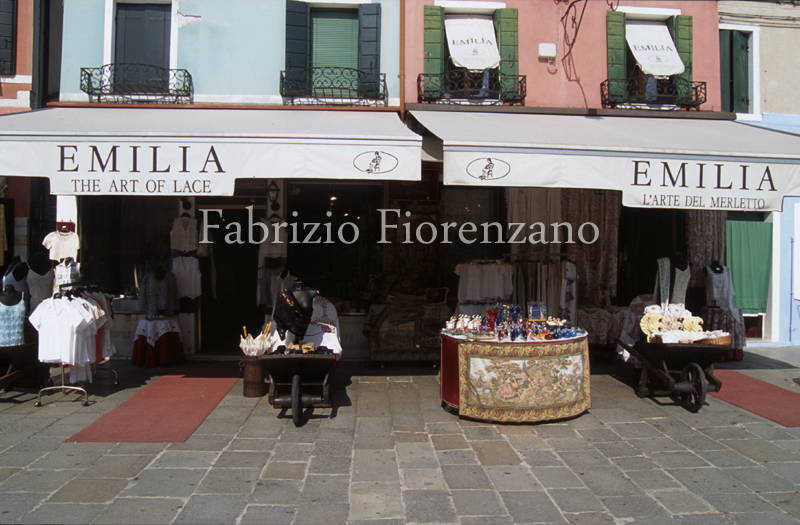 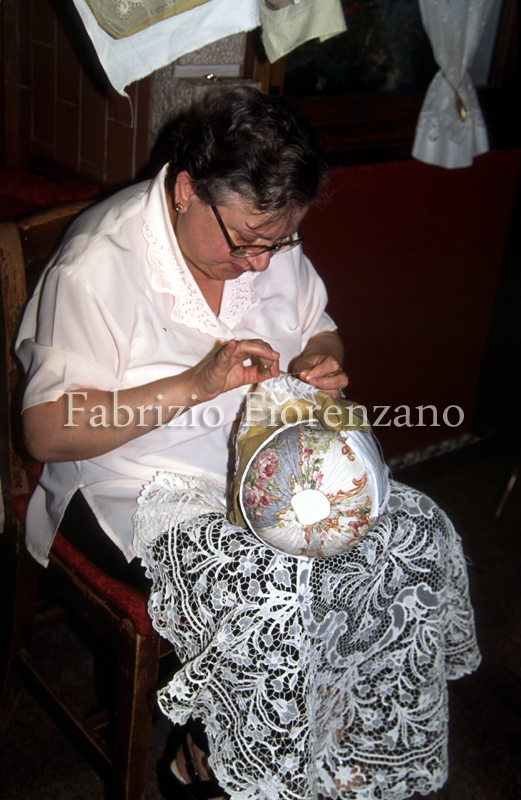 She was so fond of Burano lace that, at the end of the 14th century, she established a workshop employing 130 lace-makers. 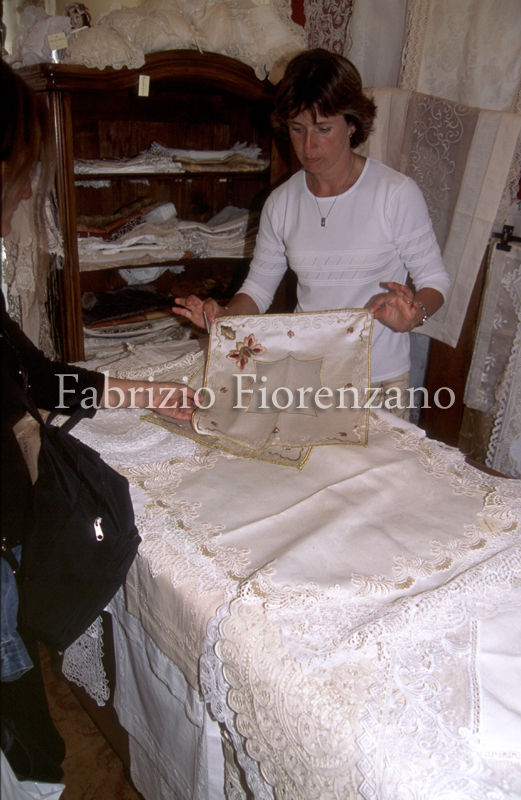 The lace produced in part found its way into the Duchess personal wardrobe, but much of it was presented as a gift to her friends in the greatest courts of Europe. 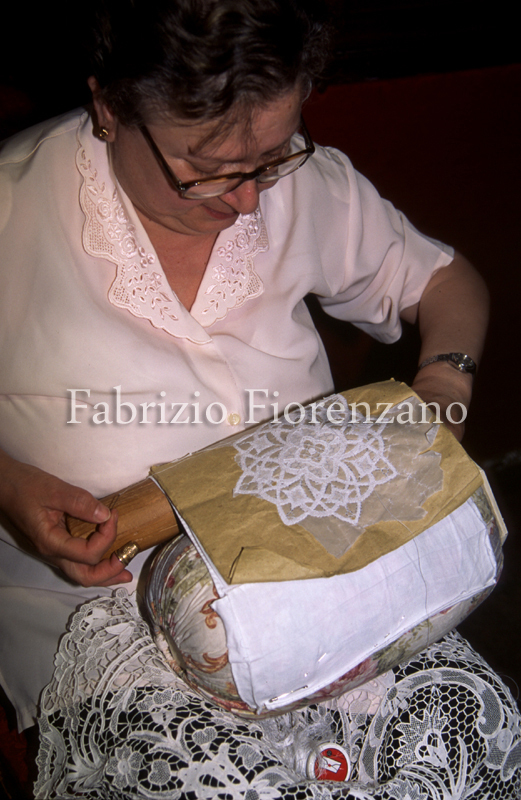 At the Duchess’ death, the workshop was closed, but the lacemaking art lived on through the labours of the best lace makers. 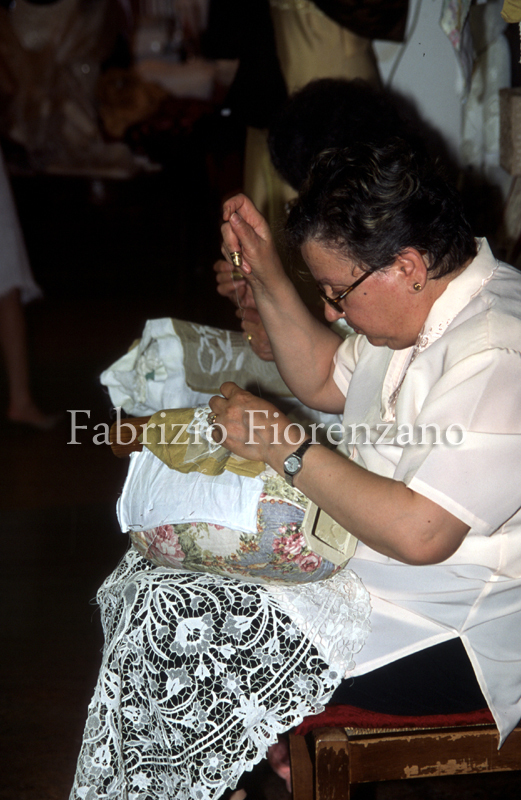 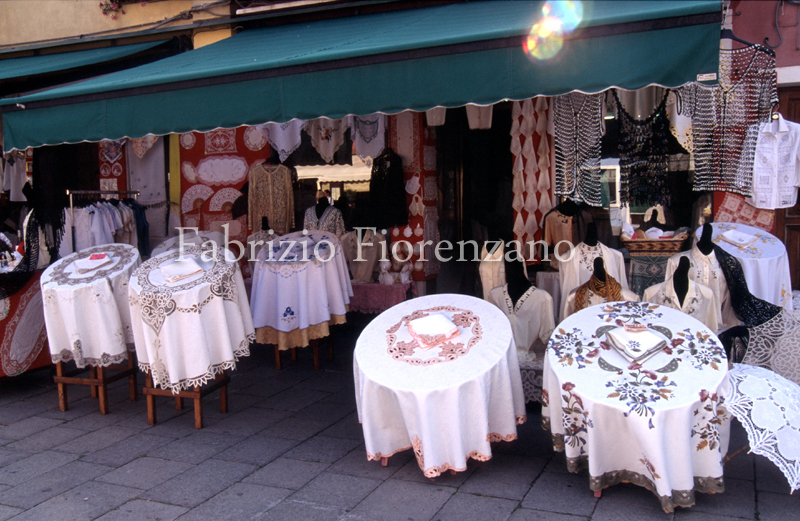 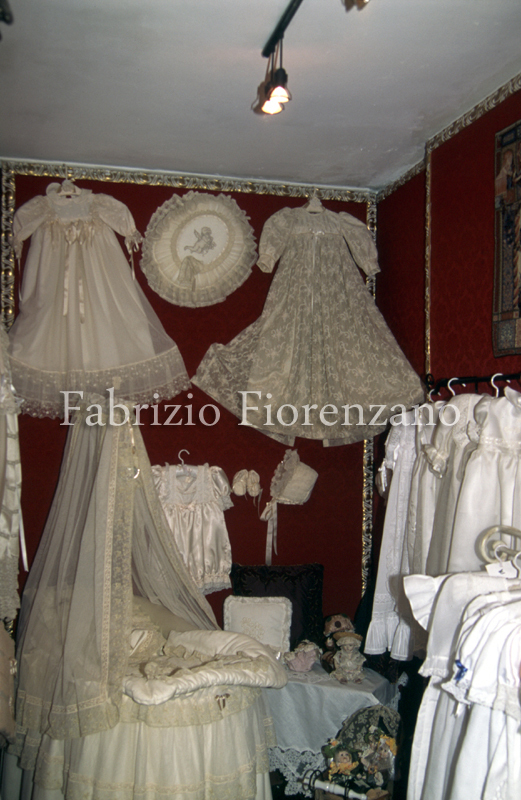 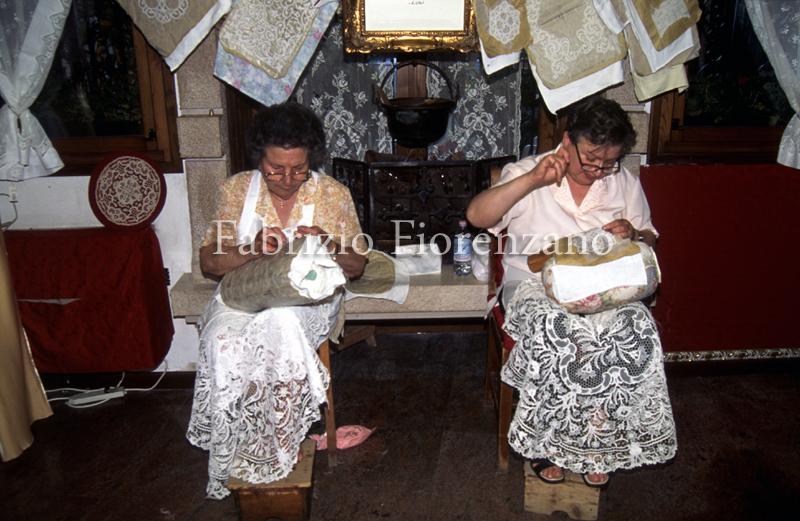 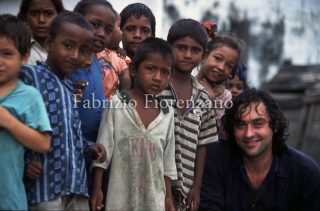 In the course of time, the fame or Burano lace spread throughout Europe and was very much in demand. 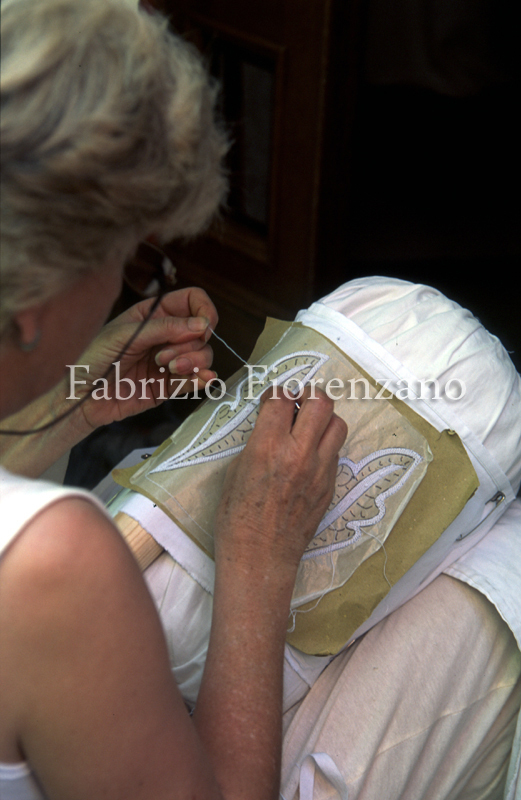 On his coronation day, Louis XIV of France was said to wear an original and very precious lace collar made by the Burano lace-makers in two years of patient needlework. 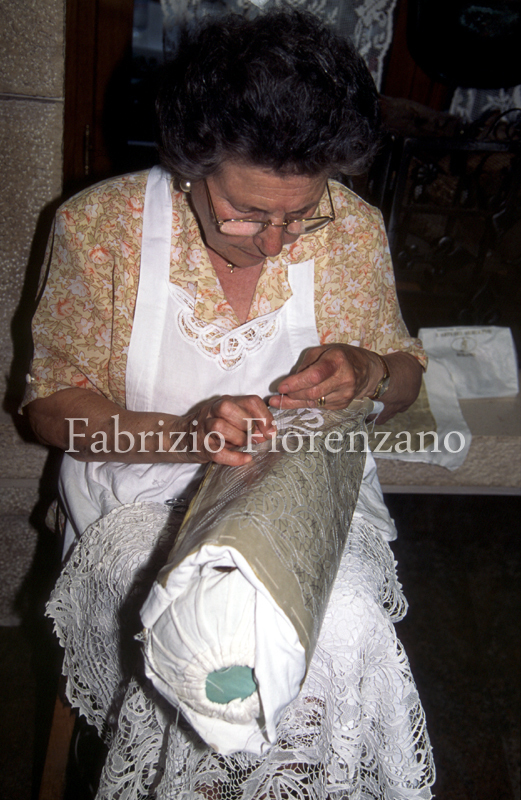 The Venetian art of lace-making was so valued in beyond the Alps that Catherine de Medic and Minister Colbert persuaded some lace-makers from Burano to move to France. 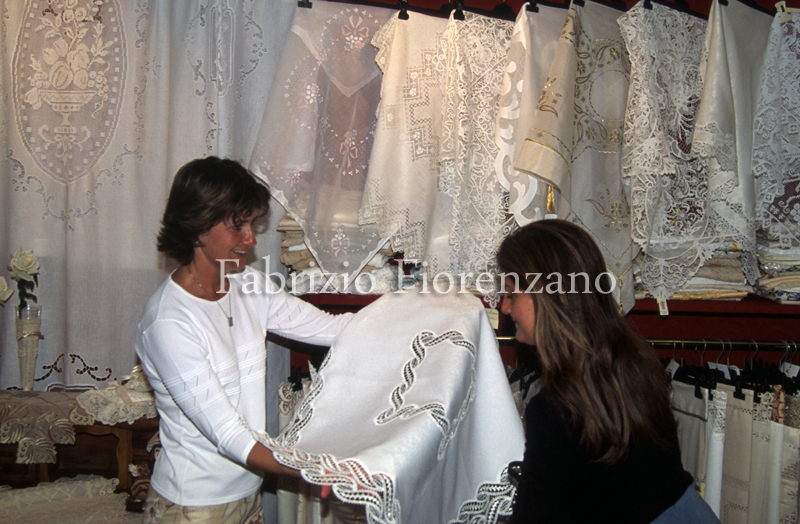 The Royal Manufactory at Rheims produced “Punto In aria” ,the typical Burano needle lace, under the direction Of Marie Colbert, the Minister’s niece, and soon it numbered 200 Venetian lace makers among the much more numerous French workers.